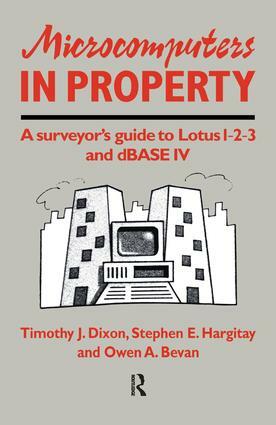 This handbook introduces surveyors to the use of microcomputers in the property industry using 'real-life' example applications with clear explanations, it will provide the surveyor with the knowledge and expertise to design spreadsheets and database management systems for use in a variety of general practice tasks from valuation to estate agency. Microcomputers in property. Software. Spreadsheets. Spreadsheet techniques. Setting up applications: spreadsheet examples. Database management systems. Database techniques. Setting up applications: database management systems. References and further reading. Appendices. Index.